Rotary is a global network of business and professional leaders who provide humanitarian service and help to build goodwill and peace in the world. The benefits of being a Rotarian include serving the community, networking, friendship, and promoting ethics. Interested in attending a meeting for the first time? Find out all the details you need to know, such as time, location, and more! Looking for the next Rotary event? Check out our event calendar for all upcoming Rotary events around town! All six Columbia Rotary Clubs worked together to raise $51,000 for the Clary-Shy Community Park project in Columbia. 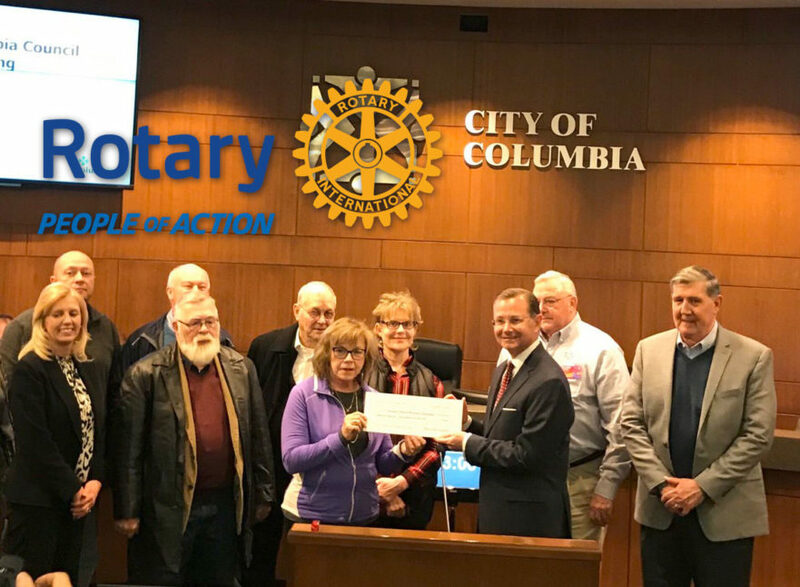 Rotary Club representatives presented the check to the Columbia City Council on Monday, Dec. 17. The check will help fund the park’s new farm-themed playground. The playground will be built in the existing Clary-Shy Park, a 20-acre area located between West Ash Street and Clinkscales Road that has previously housed the Columbia Farmers Market.